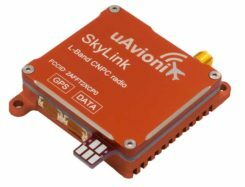 u-blox’s has revealed its latest receiver, the miniature Untethered Dead Reckoning (UDR) EVA-M8E. Measuring 7 millimeters by 7 millimeters, the EVA-M8E is designed to provide positioning for small-sized vehicle trackers. 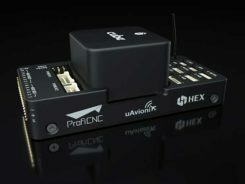 It provides untethered dead-reckoning performance without any electrical connection to the vehicle, using low-cost inertial sensors. The EVA-M8E offers continuous positioning even before GNSS signals have been received, improves accuracy when GNSS signals are weak, and enables continuous low-latency positioning at 20 hertz to track highly dynamic events, the company said. The EVA-M8E enables maximum flexibility in end-product design, requiring only a direct connection with the micro-electro-mechanical (MEMS) inertial sensor and SQI Flash memory. It adapts automatically to installations anywhere within a vehicle. It supports very low stand-by current consumption. UDR with adaptive signal strength compensation helps reduce the effects of small antenna and poor installations, which means the EVA-M8E can support extremely small after-market road-vehicle applications such as usage-based insurance and theft alarms. The C93-M8E enables immediate evaluation of the u-blox’s Untethered Dead Reckoning technology in most vehicle applications. EVA-M8E samples and the C93-M8E are available now. The modules will be in full production in the fourth quarter of 2016.